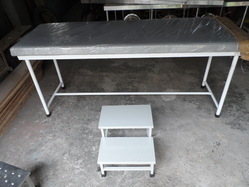 Our range of products include examination table with prop up and medical examination table. Color Available Blue, Grey, Black etc. Prop Up type for Physiotherapy. 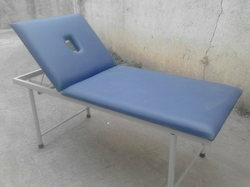 Robust design with good quality Cushion. Color available Blue, black, burgundy etc. Size : 6 ft x 2 ft x 2.5 ft Ht.